Our most important and essential email list is MoBikeFed-Announce. It is a low-volume, announcement-only list. If you join just one MoBikeFed list, join MoBikeFed-Announce! MoBikeFed-Announce is for those who want to be informed but not overwhelmed--a low-volume announcement-only email list featuring MBF's regular Email Newsletter and other selected advocacy alerts of general interest. MoBikeFed-Chat is for those who want to shoot the bull with other cyclists around the state. An email chat group for discussion about any and all things bike--road biking, mountain biking, trails, route, gear, advocacy, etc. MoBikeFed-Headlines gives you all the headlines--and just the headlines--from all new articles at MoBikeFed.org. You receive the headlines daily, weekly, or monthly, at your choice. Each headline has a link so that you can follow it back to the full story you like. MoBikeFed-Events gives you the latest list of bicycle rides, runs, walks, races, and other special events from around Missouri and the region, from MoBikeFed's Events Calendar. 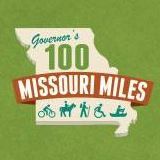 Join our email chat group for Missouri cyclists . . .